Please fill in the form to download the guide. 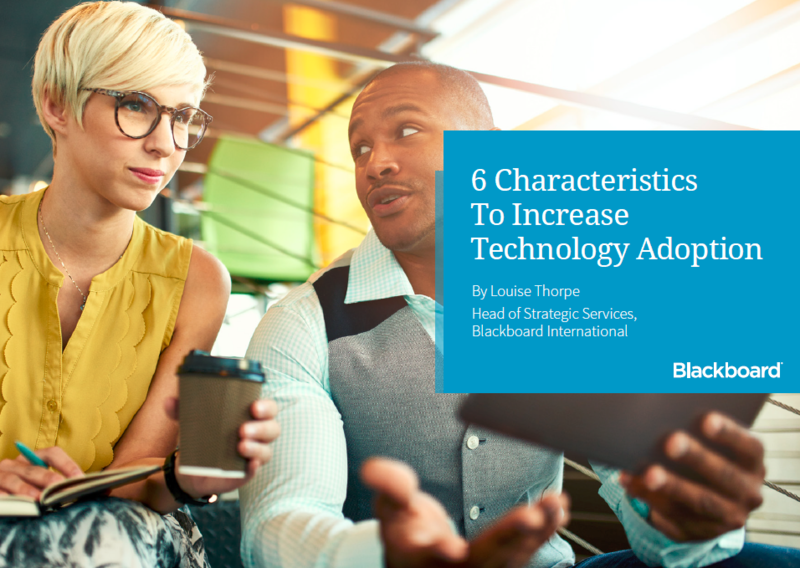 Download our free guide, “6 Characteristics To Increase Technology Adoption” to get advice on how to make it happen, practical tips, resources and real-life examples. Learn more about Blackboard at Blackboard.com. The 'Learning Futures' initiative set about engaging with staff and students in optimising the learning experience by encouraging students and academics to buy-in and sign up to change. Sign me up for emails with exclusive insights, upcoming events and webinars, and Blackboard updates.